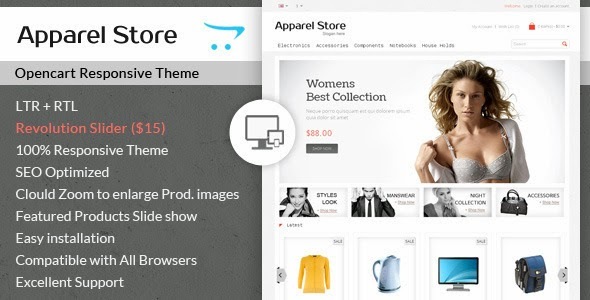 Apparel – Clothes OpenCart Template is specially designed for #clothes, #cosmetic #stores, #fashion #store and #women #stores. Great colors combination. All sub pages are customized. It is very nice with its clean and professional look. Item Reviewed: Apparel - Clothes Opencart Theme 9 out of 10 based on 10 ratings. 9 user reviews.